"You can buy an astonishing array of devices to help you cheat at slots or cards at the Hackers Home Page ". This device is the result of several years of research and development and affects slots, video, fruit, 8 liners, cherry master, pot o gold and many other gambling machines worldwide and has been tested in the U.S., Canada, Mexico, South America, Europe, Australia, New Zealand and parts of Asia. It affects machines that accept coins, bills, cards; and machines that payout in coins, cash, tickets and credits. If you have seen other people hitting jackpot after jackpot, then this is likely the device they have been using. It is remotely operated and can be hidden out of sight in your pocket, in a purse, etc... It only affects the machine you are playing. 1. 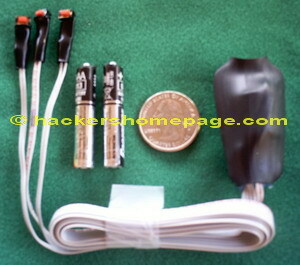 857 BILL CHANGER & VENDING MACHINE HACKER/JACKPOTTER - a $149.00 value. 3. 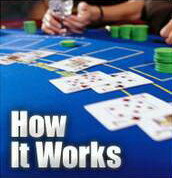 BLACKJACK CHEATING SYSTEMS & STRATEGIES CD - a $29.99 value. 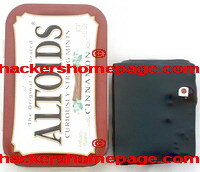 Our price of $249.00 is a small investment for a device that can make you $10,000.00 or more the first day you use it!!! OUR GAMBLING MACHINE JACKPOTTER HITS THE JACKPOT!!! Use this device to manipulate all kinds of gambling machines including video slots, video poker, video blackjack, fruit, electromechanical slot machines, etc. We've tested it on over 30 different machines from around the world with differing positive results including: credits added, larger payouts, and the outright emptying of entire machine contents. YOU WILL BE AMAZED! This concealable device can be placed in an ordinary handbag, camera case, pocket, etc... Powered by a standard AA battery. The device is different than the actual photo. THEY PURCHASED OUR BEST DEAL 5 BELOW, We have blacked out identifying numbers. ATTENTION CUSTOMERS, please email or fax your results, tickets, etc... from using our products. We are always happy to hear from our customers. We will never release any personal information and will always remove or black out any identifying information. Currency converter © Governor Textor Ltd 2009-2012. All rates are indicative only. Click shopping cart button to purchase direct from us. Purchase the BRAND NEW, SUPER SMALL 804c GAMBLING MACHINE JACKPOTTER & CREDIT SIGNALER CHERRY MASTER EDITION at a DISCOUNTED price and get 804d GAMBLING MACHINE BILL ACCEPTOR HACK MANUAL, 804e BEAT CHERRY MASTER MACHINES (manual) & 804g BEAT POT OF GOLD MACHINES absolutely FREE (a $1,000.00 savings)!!! But wait, there's MORE, order today and get the following 3 manuals absolutely FREE!!! A silent, vibrating, pocket-sized device, that allows blackjack players to count cards easily, discreetly and accurately. You can accomplish in minutes what takes professional casino blackjack players years to perfect. By following the basic card counting strategy and using your Blackjack Buster, you can make expert, informed decisions before placing your bet or deciding whether or not to take a hit. Consider how much money you can lose in just a half hour of play at the casino blackjack tables. With the Blackjack Buster, you can make your $399.99 investment back within minutes of its first use. The potential of income you can generate at the casinos with the Blackjack Buster is endless. Counting Cards is the key to winning at blackjack. When you order your Blackjack Buster, it comes with instructions on "How To Turn The Count Into An Effective Strategy". This manual includes the various ways Blackjack Buster can help you profit during play, as well as how to determine a profitable time to enter play on a table. It is effective on single, double and multiple decks. The Blackjack Buster (BJB) is very simple for even the most amateur card player to use. You do not need any special talent, skills or aptitude to use this product. All of the research and programming has been done for you - all that you need to know is how to press a button. The device can be kept in your pocket or anywhere against your body while using it since it will signal you by vibrating. The wires and buttons can be run anywhere on your body in order to secretly operate it. For example: The wires and buttons can be run up your shirt, down your shirt sleeve and strapped to your arm under the sleeve where nobody can see it. You can then press the buttons through your shirt sleeve without exposing it. Or the wires and buttons can be run down your pants leg and strapped to your leg under the clothing where nobody can see it. You can then press the buttons through your pants leg without exposing it. Or the wires and buttons can be run down your pants leg through a sock and mounted inside a shoe where nobody can see it. You can then press the buttons using your toes. Our competition sells a very large and clumsy, old style blackjack computer for $2650.00, our tiny modern device is just $399.99 . Counting Cards is the key to winning at blackjack. When you order your Blackjack Buster, it comes with instructions on "How To Turn The Count Into An Effective Strategy". This manual includes the various ways BJB can help you profit during play, as well as how to determine a profitable time to enter play on a table. If you're fairly new to Blackjack, and don't yet have a basic understanding of the game, we include simple instructions on Blackjack strategy. Card counting strategy is simple. Its not necessary to keep track of every individual card. Instead, we assign a specific value to each card. The instructions will outline the values of the high, low, and neutral cards. BJB may also be used with other HI-LO card counting strategies. The higher value cards are assigned a value of -1 because each time one of those cards is drawn from the deck it makes the deck less favorable to the player. The opposite is also true. For every low value card that is dealt, the deck becomes more favorable because those cards are being removed. Having the low value cards removed increases the odds that your next card or set of cards will be 10's or Ace's. Conversely, when your count is (-) negative, chances are your next card or cards won't be face cards. The difficult part of counting is keeping a running total of your addition and subtraction throughout 6 or 8 deck shoe with 5-6 other players at the table. To effectively count cards you must keep track of every card that is dealt. Keeping this count in your head requires a tremendous amount of concentration and skill. The patented computer inside the BJB does all of this work for you and makes implementing this strategy extremely simple. Rather than attempting to keep a running total in your head, let the BJB do the work for you. When a higher value card is dealt press the left button. When a lower value card is dealt, press the other button. The BJB keeps a running total for you at all times. Press the lower button at any time, and the BJB relays the count to you with a series of silent vibrations. For instance, if you're about to be dealt a hand, and are considering making a larger bet, consult your BJB first. Since you've been entering the cards in as they've been dealt, BJB will have a current count ready for you. Press the button and your BJB emits a series of short or long vibrations. Short vibrations indicate a negative count and longer vibrations indicate a positive count. For example, if the current count is +4, the BJB emits 4 longer vibrations. 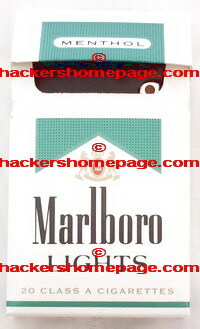 Click credit card button to purchase through our distributor. [ This product has just been updated for a total of 5 different methods that work on the MOST popular current bill acceptors and we include links to web sites that show the exact models of bill acceptors. This item will be sold to a LIMITED number of people and then discontinued. ORDER NOW before you get shut out!] The methods described are easy to perform and do not require any special skills or tools. They work on MOST Bill Acceptors/Validators, such as change machines, vending machines, gambling machines, and bill changers at CASINOS. The potential at the casinos is UNLIMITED because most of their bill acceptors will accept up to $100 dollar bills, whereas vending machines will only accept up to $10 or $20 dollar bills. You can rack up several thousand credits on a machine in only a few minutes, and then simply cash out the machine. Methods were tried and tested in the United States only, and we cannot confirm if they'll work in other countries, although we believe some of these methods could be modified to work internationally. UPDATE: One of the methods included in this manual has been confirmed to work on Automated Bet Machines commonly found at most Dog and Horse RaceTracks. [ This product has just been updated with several different methods including at least one which will work on most Cherry Master Machines.] These methods will show you how to beat the most popular pub, truck stop, and restaurant machines in the United States and some other countries. Methods will beat all of the following: ED-95's, Dyna3, Cherry Bonus III's, regular "Cherry Masters", super "Cherry Masters", "Crown Machine", "Dyna Cherry Master", "Cherry Master '91", "Joker Masters", "First Edition Fruit Bonus 96 (Doggy Machines)", "Magical Odds", "Reel & Uake", as well as many other models including the minimum 1, 5, and 8 bet systems. By using these methods, you will easily make an average of at least $500.00 per hour. Best of all, these methods are totally legal and easy to perform -- anyone can do it! Methods exploit several bugs found in the above machines. System includes a step-by-step manual on CD. How many times have you thrown away the price of this system while playing these machines? Now get the system that BEATS them all! UPDATE: Now you can beat Mystery J&B machines using a completely legal method that exploits a commonly found "bug" in the system. You can easily average $400.00 or more an hour using an easy-to-follow method that works in ALL countries. This manual shows you how to make a device that allows you to play POT OF GOLD machines for FREE, but that's not all. It will also explain how to increase the "pot" and easily make $1,500 or more per hour. The device is completely undetectable by the machine. This device is the size of an ordinary key and can easily be made in a few minutes using materials found in any city (no soldering or electronic skills required). It exploits a commonly found "bug" in the system. Simply use the device to "force" the machine into "free game mode". Once in free game mode, you will be prompted to touch certain buttons on the screen itself. We explain how to take advantage of this "bug" and touch the buttons in the correct combination that forces the machine to pay out the ULTIMATE POT. Includes complete easy-to-understand instructions. Works in ALL countries.